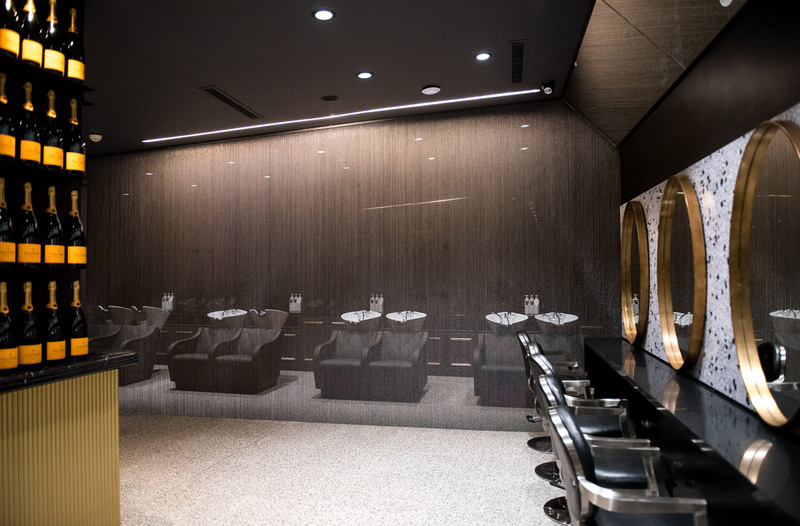 In conjunction with Joe Snell Architects, Trend Lighting worked closely with the owners and managers of Pierre Haddad Salon to create a space that welcomed clients into an ambient setting. Keeping in mind the nature of the business, our intentions began with transforming the salon's lighting by looking at the essential accents to recreate how both the stylists and clients ultimately worked within the service area. A crucial area we focused on was the main salon colour bar with the decision of going ahead with the XDM253, it effectively eliminated the unwanted shadows around the stylists and yet complimented the interior design. The colour temperature of the fitting reinvented the warmth of the area, creating an accurate mood of what was envisioned.